Looking for coupons to stretch your hard-earned money each week? Don’t know where to start? 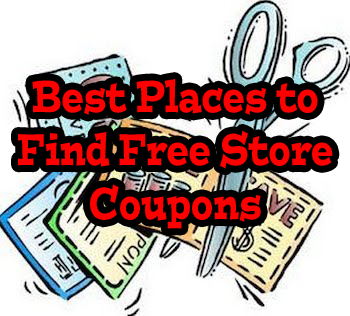 Here are (7) free places you can find coupons and begin your money saving adventure. This was once the ONLY place to find coupons but that has changed over the past 10 years. Still, many people still have their Sunday routine of getting the Sunday paper and cutting out the coupons they would like to use. Don’t read the paper? That’s ok too. There are lots of people that sell the coupon inserts just be aware that coupons from the newspaper are regional so look for someone local to buy from. Also, if you have a friend or co-worker that gets the paper ask them to bring in their coupon inserts if they do not need or use the coupons. Keeps your eyes open while you are shopping as more and more stores are placing coupons in kiosks dispensers or at customer service. Also, we routinely see coupons placed directly next to their corresponding product by other shoppers (commonly referred to as ‘coupon fairies’. This is a great way to pay-it-forward by giving away the coupons you are not going to use. 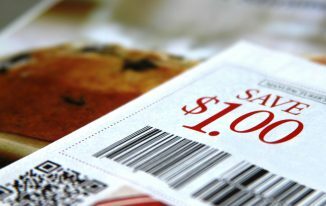 The largest growth in couponing over the past 10 years has been in the area of printable online coupons. There are numerous websites dedicated to providing consumers access to printable coupon databases. These are free for users to print but they do limit the number of each coupon to (2) prints per user, per month. This helps reduce market saturation and prevents one user from printing hundreds of coupons. Mobile coupons have become very popular over the past 5 years. 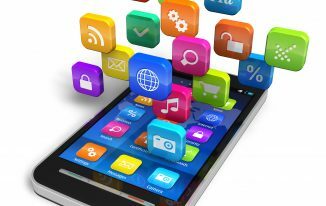 The increased technology surrounding ‘smart’ phones has made the couponing process even easier. No longer do you have to print out and clip coupons. Even better, you can now look for coupons WHILE you are shopping. Talk about instant gratification! Several retailers, such as Target, have their own proprietary coupon apps/software that allow for even more savings. 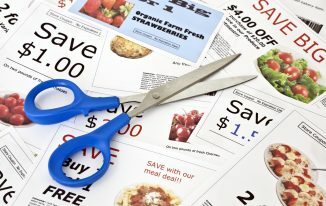 Given their ease of use and effectiveness we believe that traditional ‘paper’ coupons may soon be a thing of the past. Mobile coupons are just so easy to use and much easier for the issuer (manufacturer) to place controls (limits) on. If you find yourself looking for a specific brand or type of coupon make sure you check the manufacturer’s website and Facebook page. You may be surprised just how many printable coupons you can find this way. Looks for sections of their called ‘promotions’ or ‘coupons’. You may also find them by looking at the area labeled ‘sitemap’. You may also get coupons by contacting the manufacturer directly and just asking for them. This can be done by letter, email or Facebook messaging. Just remember to be nice – you’ll get more bees with honey rather than vinegar. More and more retailers are now offering various reward programs that give returning customers perks for purchases. These can be in the form of exclusive coupons, rebates, special sales pricing or even reduced gas pricing. These are great programs to work into your couponing efforts. If you find yourself losing your rewards cards (yep, we do it too) then consider taking a cell phone picture of your cards. Then simply pull up the picture during checkout and it will scan just as well as the original. Don’t be so fast to throw away your receipts after a purchase. Take a minute to look them over for coupons that may be printed on the bottom or on the back. You may be surprised what you will find and most of them are simply thrown away by customers.